Jeremy Smith discusses the cost:benefit ratio of the rising prices of new oncology treatments and how the pharmaceutical industry and regulators can adequately address them while still promoting R&D. Oncologists and pharmaceutical companies are increasingly discussing the cost: benefit ratio of cancer treatments. It is a topic that is under the microscope, particularly now, with the advent of immunotherapies. These come with a hefty price tag of approximately $100,000 per patient per year, compared to carboplatin + paclitaxel, a standard treatment for squamous cell Non-Small Cell Lung Cancer (NSCLC), which could cost $30,000-$35,000. Looking at the cost: benefit ratio of these treatments as a sliding scale, though, it could be argued that immunotherapies may fall more on the side of benefits (as opposed to cost). Because, although expensive, they are currently approved in malignancies where survival has been measured in months, not years, and the side effects during treatment can be less intrusive. Conversely, many of the newer haematologic malignancy treatments are equally, if not more, expensive, but they are used to treat patients in diseases where survival is measured in years, not months. Nonetheless, and regardless of the type of malignancy, the treatments are resulting in financial toxicity for patients. So, what happens now? Let’s look at this debate in more detail. According to Cancer.org, the five-year survival rate for Stage IV NSCLC patients using traditional chemotherapy is less than 5%. Comparatively, if a patient is treated with nivolumab (an immunotherapy marketed as Opdivo), recently-published data, at the American Association for Cancer Research (AACR) annual meeting 2017, show the treatment increasing the five-year survival rate for Stage IV NSCLC patients from 4% with standard of care (SOC) chemotherapy to 16% in all-comers (and 43% in patients with > 50% PD-L1 expression). In addition to the improvement in survival rates, immunotherapies also produce fewer adverse events, which is likely to lead to better patient quality of life. This is no small consideration, especially when all treatment is ultimately only palliative. The benefits of immunotherapy can be huge – even if the costs are huge too. If immunotherapy falls on the benefit side of the cost: benefit scale, where should many of the new haematologic malignancy treatments sit? Unlike some solid tumour patients, many haematologic patients have survival rates measured in years, not months. However, many of the newer haematologic malignancy treatments combine multiple (as many as four) different drugs. And, in a regimen where there are multiple branded products, this means the costs can be significantly higher than $100,000 per patient. Finally, not only are multiple branded medications needed, but the duration of therapy is often longer in haematologic malignancy treatments than in solid tumour treatments. Yes, the five-year survival rate for all Multiple Myeloma patients is 49% – which is nearly three times that of all (not just Stage IV) NSCLC patients. And longer survival rates are a positive outcome. However the treatment costs can be enormous. Even though many of the new haematologic malignancy treatments are less expensive individually than immunotherapy agents, they still come with a hefty price. For example, elotuzumab, for a Multiple Myeloma patient weighing between 154 and 176 pounds, will cost $142,080 for the first year and $123,136 for each subsequent year. This is a huge cost in itself. But keep in mind that these costs are for elotuzumab alone, and the treatment often needs to be used in combination with lenalidomide and dexamethasone, which adds an estimated cost of approximately $125,000 per year, bringing the total cost to $248,136 – $267,080 per patient, per year of treatment. Elotuzumab increases the four-year progression-free survival rate (when added to lenalidimide and dexamethasone) by 7% ,from 14% to 21% for patients with 1-3 prior lines of therapy. However, elotuzumab is given until treatment progression, which means that those 21% of patients still responding at four years could end up spending $511,488 for elotuzumab alone. New treatments in oncology – whether solid or haematologic – are producing better efficacy and improved tolerability. The benefits are immense. However, the price tags can lead to huge financial toxicity for patients. So why are the treatments so expensive and how can the balance be redressed? According to a 2014 study by the Tufts Center for the Study of Drug Development (CSDD), the estimated cost to develop a new prescription drug for marketing in the US is $2.6 billion. Compare this to a much lower figure of $800 million in 2003. Pharmaceutical companies need to pass their costs on, so we can see why the end price points to patients have risen. Pharmaceutical companies also want to develop new drugs and the revenue they receive from their marketed products is what finances this new drug development. 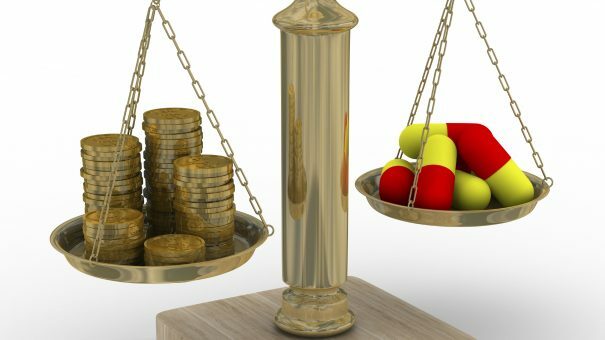 Regulators wish to simultaneously reduce costs to patients while continuing to encourage new drug discovery. It is a tricky problem. While many people would agree that financial toxicity can be debilitating, how to correct it is much more complicated. Back to the cost: benefit ratio. What’s next? All of these data points and costs are interesting but what does it all signify, and how should the cost: benefit of new treatments be evaluated? Historically, a statistically significant improvement in progression-free survival, regardless of solid or haematologic malignancy, has been enough to warrant regulatory approval. However, in June 2015, the American Society of Clinical Oncology (ASCO) published a proposed framework, which it subsequently updated in May 2016, to assess the value of various cancer treatments with the goal of evaluating treatment regimens on the basis of their clinical benefit, toxicity, and cost. Despite the fact that there have been no changes in pricing, reimbursement, or approvals as yet, and costs continue to rise, perhaps the approval authorities should be looking at different criteria – such as a certain percentage increase in efficacy (for example quality-adjusted life years and the value to patients and their families), not just statistical significance – to justify the higher costs. As it is, there is anecdotal evidence that patients, particularly in the US, are already evaluating the cost: benefit of their prescribed oncology treatments and making their own decisions accordingly. A recent policy brief published by Rice University’s Baker Institute for Public Policy cites that the 8-to-10-year survival rate for Chronic Myeloid Leukemia (CML) is 80% in Europe, where treatment is available and affordable to all patients. In the US, as a comparison, the high drug prices could force many patients to omit or compromise treatment, which reduces the five-year survival rate for CML to only 60%. While most agree that some sort of pricing reform is needed, the underlying question is how to adequately address the astronomical prices while still promoting further research and development. And what impact should the current survival rates have on this evaluation? There is no easy answer, and these decisions have far-reaching implications. It is certainly something for everyone to scrutinise particularly as even more personalised treatments are produced. For example, CAR-T which is now approved and costs between $373,000 and $475,000 for each patient. The market research world often tries to decouple the financial impact from the clinical strengths and weaknesses of a treatment, in order to understand the drivers and barriers to use. As costs continue to rise, this not only becomes more difficult, but possibly also misleading. Even though oncologists sometimes claim to try not to consider costs when weighing treatment options, in order to recommend the best option, can they realistically be expected to ignore the fact that many of these treatments now cost more than double the average annual salary of their employed patients? From the perspective of market researchers, in order to fully understand the likelihood to use one of these costly treatments, attention should be paid to the impact of cost, and the financial toxicity for patients. The obvious answer is the inclusion of payers in the research plan to understand expected pricing, formulary tier, and patient out-of-pocket costs. However, it is probably not enough to stop there. The evaluation of a new product’s effectiveness is probably changing in the clinic to include some level of cost: benefit evaluation and market researchers should be changing as well to provide the most accurate cost: benefit information to clients. 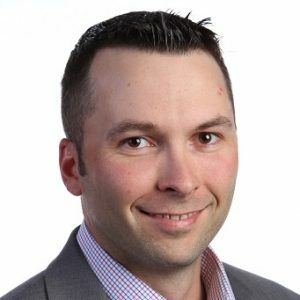 Jeremy Smith is an Associate Director in the Oncology Research Group at THE PLANNING SHOP. He has over 11 years of global pharmaceutical research experience, including three years of exclusive oncology experience.